Are you after a truly flawless, instantly radiant finish? SilkSphere Airpod™ Foundation delivers a seamlessly blended and absolutely luminous complexion. This beauty breakthrough technology and superior makeup formula work in unison to give you sheer coverage when you want it, and full coverage only where you need it. Diffuse discolorations, fine lines, wrinkles and pores for a flawless you. Temptu Air Sold Separately (HERE). First, shake your Airpod. If it is the first time you are using this Airpod, remove the tamper seal and pull off chrome cap. Firmly pull back on the clear loop to prime Airpod. Gently open the black plug before attaching Airpod to the TEMPTU Air. Press down on the round release button on the side of the TEMPTU Air and slide the Airpod, window side up, into the TEMPTU Air until it clicks into place. Press down on the round release button on the side of the TEMPTU Air and pull downward on the Airpod to remove it from the Air. Be sure to close the black plug on the Airpod when not in use. Always stop and look in between passes until reaching the desired level of coverage. You want to see perfected skin, not the makeup. All 3 lights will start blinking when the Air needs to be charged, which takes 1-2 hours to complete. The SoftTouch Control regulates the amount of makeup released from the Airpod. For makeup to spray, use pointer finger to hold down the SoftTouch Control. Practice on your hand to get a feel for the application. Less is More. Always press down lightly when applying to the face. Only press down all the way on the SoftTouch Control when applying to larger areas of the body. Hold the TEMPTU Air about four fingers from the face. Always keep the Air moving in small, circular motions for a seamless, even finish. Use a light touch with the SoftTouch Control when applying makeup to the face. TEMPTU makeup is weightless and buildable- a little goes a long way. Stop and look between passes until reaching the desired level of coverage. 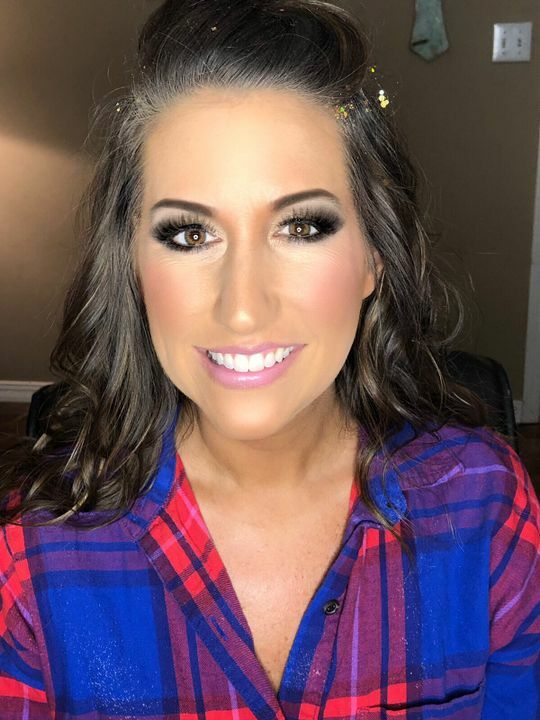 Paige M. Reviewed by Paige M.
This is my Favorite foundation from TEMPTU! !